Rolf Suey - Better Late Than Never: Why Singaporeans should know more about LNG? Which industries in Singapore offer the most lucrative jobs? This is probably one popular question most undergraduates or working adults are interested to know. After surveying many friends, most agree that in Singapore, the Banking & Finance sector is where the money are. The Oil & Gas Energy sector will probably settle for a tight second position. LNG shaping the future of Singapore? Few months ago, I was talking to a friend and we concur that LNG industry may well be the future for Singapore and become one of the most lucrative paying industry. I was told by my friend that one of his peers, holding a law degree gave up a high-position “steel rice bowl” job in government sector to join a private LNG company as business development executive recently. I also remember last year during a chat with a long-time client, we agree that while Singapore is successful transforming ourselves into the global offshore oil and gas hub, the industry is lacking technical expertise among Singaporeans. In the past, our government overlooked the importance of oil and gas technical education, be it in school or in work. Today, many senior technical positions in the oil and gas industry are still filled by foreign expertise from Europe or America, although Singaporeans are generally savvier in commercial and project management. In fact, my client who has business association with Pavilion Energy, a Temasek portfolio company focused on global LNG supply chain, told me that Singapore is having ambitious and long term plans in developing Singapore into the global LNG hub. This time round, Singapore will also spend more effort focusing on education and upgrading our human resource expertise earlier to prepare for our long term plans in the LNG industry. Pavilion Energy was set up in April 2013 to tap growing LNG demand in Asia. Since then, the firm has invested US$1.3 billion for a 20 per cent stake in three gas blocks off Tanzania in East Africa. It's committed capital now has also been raised to US$6.9 billion from its initial start-up of US$1 billion. Earlier in June this year, Pavilion Energy signed a US$7b deal with French oil company Total to increase its LNG supply portfolio by 40 per cent over an earlier 10-year deal with France's Total to 0.7 million tonnes of liquefied natural gas annually, with shipments starting in 2018. A month prior to the Total supply contract, Pavilion Energy and BW Group entered into an agreement to form a joint venture, BW Pavilion LNG Pte Ltd to acquire, manage and charter maritime LNG assets, including LNG carriers. The JV is hitting the ground running with an existing LNG carrier, and will build two new ones at a South Korean shipyard, with each said to cost around US$250 million. So what exactly is LNG? LNG is liquefied natural gas comprises mainly of methane (CH4), a clear, colourless, non-toxic liquid that forms when natural gas is cooled to -162ºC (-260ºF). This shrinks the volume of the gas 600 times occupying less space and easier to store and ship out, safely and efficiently using LNG carriers. Natural gas is a major source of energy, but many towns and cities that need the energy are located far from the gas fields which make transporting of gas by pipeline costly and impractical. In the LNG process, the gas is first extracted and transported to a processing plant called LNG train where it is purified and then cooled down in stages until it is liquefied. LNG is finally stored in storage tanks and can be loaded and shipped by LNG carrier. When LNG carrier reaches LNG Terminal, the imported liquid is then returned to gas at the regasification facilities. After that, it is then piped to homes, businesses and industries. 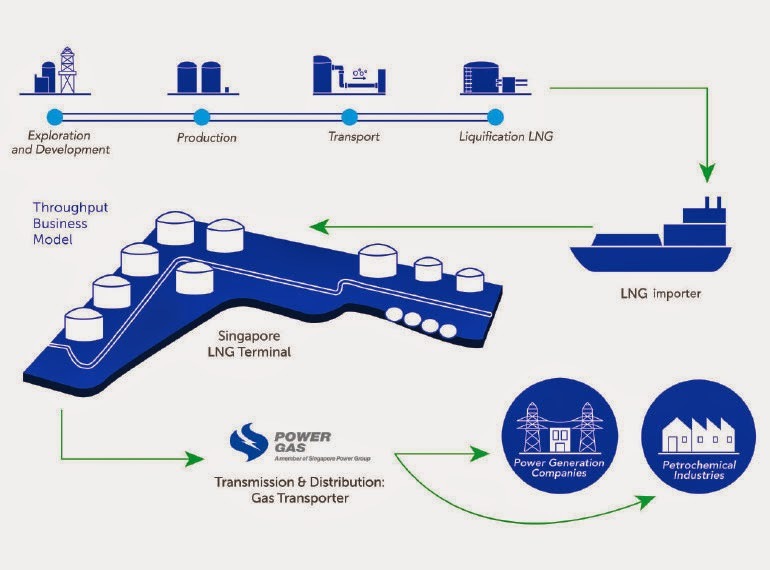 Why is LNG important to Singapore? 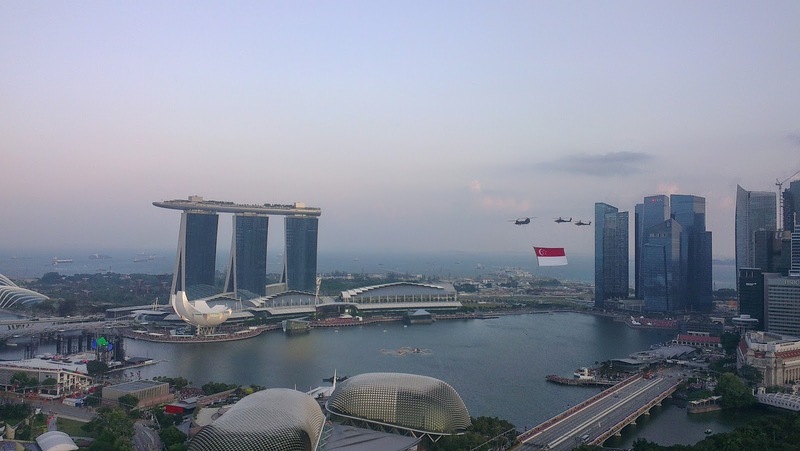 More than 90% of Singapore's electricity is currently generated from natural gas as fuel. They are supplied by four pipelines from Malaysia and Indonesia, according to the Energy Market Authority. About 20 percent of the country’s natural gas needs is from LNG, according Singapore LNG Corp (SLNG), which operates the Jurong Island LNG terminal. Singapore imports liquefied natural gas (LNG) from various countries across the world. In 2008, UK-based BG Group PLC won a contract to supply 3 million tons of LNG to Singapore annually over 10 years starting 2012. Southeast Asia’s gas demand will rise 184 billion cubic meters by 2018, up about 19 percent from 2014 levels, compared with 11 percent growth in global consumption, the Paris-based IEA estimated in its medium-term gas report in June last year. China’s needs will also increase by 56 percent to 294 billion in the same period. As at end 2012, Asia accounted for 71 percent of global LNG demand. In 25 February this year, Singapore witnessed the opening ceremony of its first LNG Terminal in Jurong Island, seven years after the decision to build the facility with an S$1.7b budget. The 40 hectare terminal with three LNG storage tanks, two jetties and regasification infrastructure will be owned and operate by SLNG. With the new terminal, Singapore has capacity to handle 6 million metric tonnes per anum (mmtpa), which is three times as much as what Singapore currently consumes. A fourth LNG tank is scheduled for completion by the end of 2017 and will increase the Terminal's capacity to at least 9 mmtpa. The current LNG terminal can accommodate as many as 7 tanks with a total capacity of 15 mmtpa. 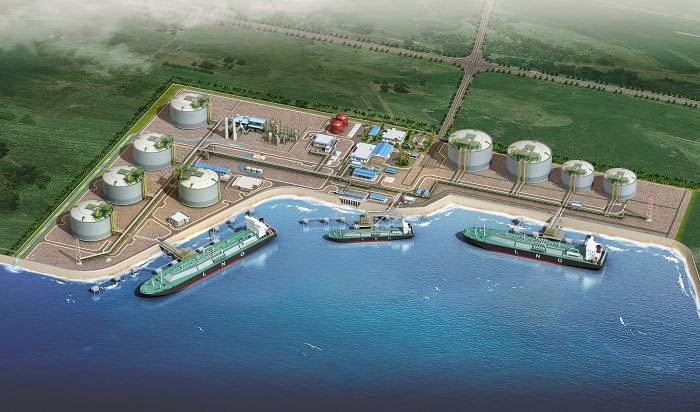 Singapore also plans to build a second LNG receiving terminal. The second facility will likely have the same maximum capacity as the first, and could possibly be built on a floating facility offshore. The second terminal is for long-term planning and estimate to be operational only from 2025 to 2030. With the current terminal, it is more than enough to meet our country gas capacity. The reason for opening the second terminal is likely to take advantage of our geography and stature as Asia’s oil-trading centre to also become a regional leader in LNG. “We are preparing for the possibility that our demand for natural gas may one day be met entirely by LNG,” PM Lee said. The second terminal may be used for reloading and ship bunkering rather than just for imports, said Leigh Bolton, managing director of Holmwood Consulting Ltd., who has 20 years of experience in natural gas and LNG. Elsewhere, Keppel has early this month announced a US$735m contract to convert the “Hilli” LNG tanker into a Floating Liquefied Natural Gas (FLNG) vessel for Norway Golar LNG. The contract comes with an option of converting two additional vessels. Earlier June this year, Sembmarine announced it had acquired 12% stake in Norwegian LNG terminal and platform maker Gravifloat for US$4m, with a right to increase its stake up to 20%. On the same day, it also announced that it had secured a long-term contract from GasLog LNG services to provide ship repair, refurbishment, upgrading and other marine services for the latter’s fleet of 20 LNG carriers. This means Sembmarine can anticipate refitting of three to five GasLog LNG carriers each year. FLNG refers to water-based LNG operations employing technologies designed to enable the development of offshore natural gas resources. The FLNG market is relatively new but a very important development within the LNG market. There are no FLNG facilities currently exist. The world first FLNG vessel – Shell Prelude FLNG is ordered by Royal Dutch Shell in 2012, currently under construction at South Korea’s Samsung Heavy Industries. When completed in 2017, the vessel will theoretically produce, liquefy, store and transfer LNG (and potentially LPG and condensate) at sea before carriers ship it directly to markets. 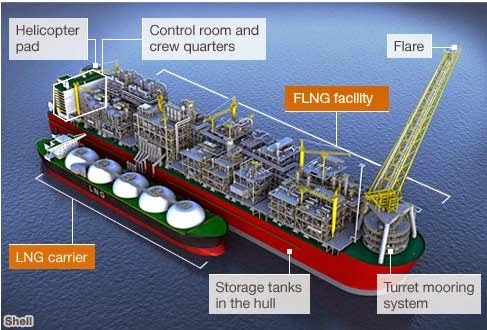 Shell Prelude FLNG measure around 500m in length (~4 soccer fields length), weighting over 600,000 tonnes (~6x weight of largest aircraft carrier) and expected to produce at least 5.3 mmtpa of liquids including 3.6 mmtpa of LNG – enough to satisfy the natural gas needs of city size and population of Hong Kong. The vessel will be bound for the Prelude gas field, about 200km off Australia Northwest coast. It is no doubt that LNG will be one of the most important industries shaping Singapore future economical outlook. If an opportunity arises, I definitely hope to a part of the LNG working industry one day, if not, probably my children will fulfil my aspiration if they possess passion in the industry.